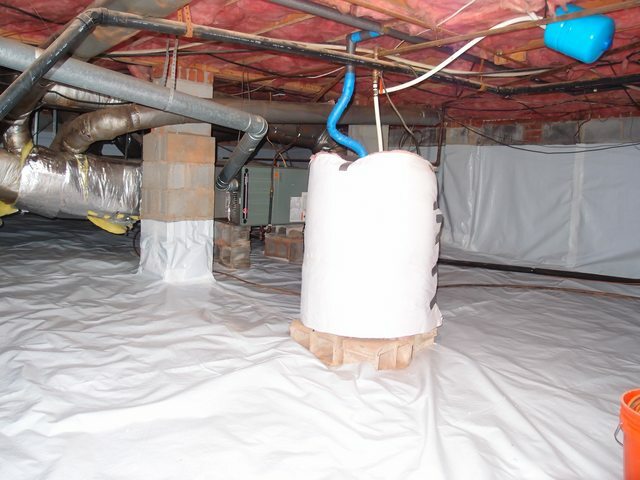 "I've never understood the desire to build a crawl space. This is mine after lining w/ the 6 mil nylon reinforced plastic. Did it for under $250. It took a few weekends to complete. Pretty much anyone can do it as long as you don't mind getting dirty. Definitely looks different than the builder grade stuff I originally had. It must have been 2mil material. What did you use to adhere the plastic to the cinder block? C_Lan, this is nylon reinforced and feels far more durable than the type you might find at home improvements stores. It's designed for crawl spaces. I attached it to the block with two sided butyl tape and the christmas tree pins that sacredgrooves referred to. Areas like the piers and corners also received polyurethane sealant to guarantee a seal. Ah, OK...thanks. Didn't see the pins and thought it was just taped in place. I ended up shooting nails through pressure treated wood strips to help hold mine in place. Theklunk, thank you for sharing your experience. Where do you get butyl tape and Christmas tree pins in town? 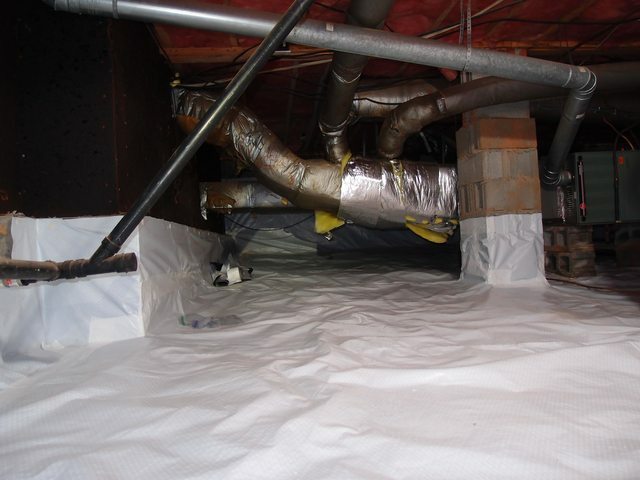 Also, in your picture, does the vapor barrier line the floor and continue up the walls or are they two separate pieces? The wall pieces are separate from the floor pieces. Overlap 12" at the bottom. Wall pieces go on first.